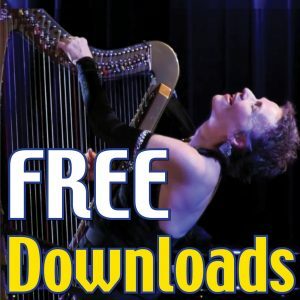 Margi Miller is playing her harp for Alzheimer’s patients, something she’s done before … but now that SHE’S singing, so are they!! 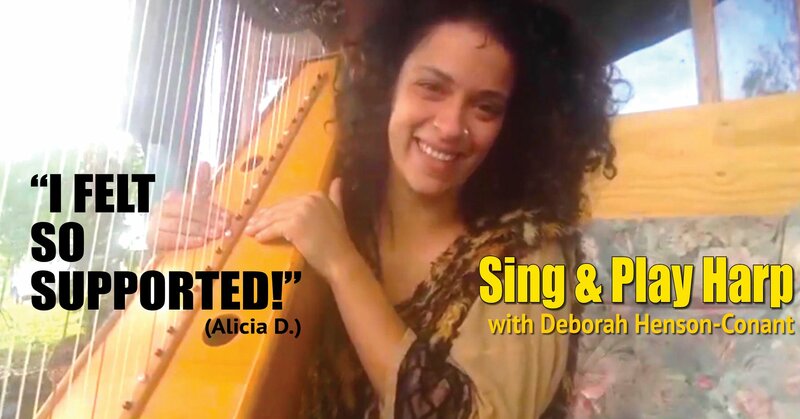 Alicia Dawes-Salazar took the three chord pattern from “3-Chord Magic” and created a song about kindness and now she sings and plays it for the children in the school where she works – as the children dance and sing with her. Both Alicia and Margi took “3-Chord Magic” less than 3 weeks ago. It’s the first class in the “Sing & Play Harp” Immersion series and they each completed the class in one afternoon. Now it’s changing their level of engagement and connection with the people they play for: children, and elders. That’s not because they’re suddenly adding complex, fancy techniques – but because they’ve unlocked the power of human connection that singing and playing harp gives you — they’ve opened up to a new level of inspiring, liberating, empowering and enriching the lives of the people they play for … and with. Yes … “with” — because when you sing and play using what you learn in “3-Chord Magic”, it doesn’t just give YOU the power to sing and play your harp – it also gives you the power to sing and play with others. And that changes their lives forever. The first class in the “Sing & Play Harp” Immersion Series. Get 30% off when you join while we’re still in Beta! Jump right in as soon as you join – all the training videos are ready for you. And while we’re still in Beta, and still adding more materials to the class, you get over 30% off. So join now!